Swampy is back to Nokia Lumia with Windows Phone 8 !! 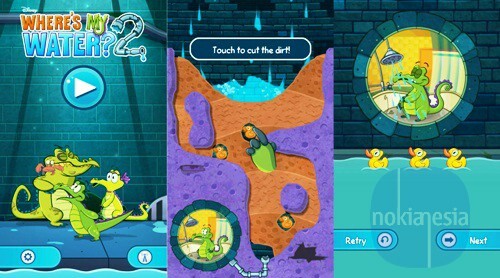 "Where's My Water 2" from Disney featuring Swampy, Crankly and the beauty Allie is now available for free for Nokia Lumia with Windows Phone 8. 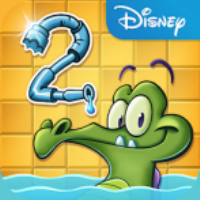 "Where's My Water 2" comes with "Free to Play", it means that you can free to play every single levels if you have enough energy, if you don't have, you must wait until you have enough energy or you can buy some energy (In-App Purchase). Play 100+ levels and challenges with a brand new look in the Gator universe featuring Swampy, Allie, Cranky, and Mystery Duck! Introducing ‘Challenge Modes’ to replay the levels in explosive new ways! 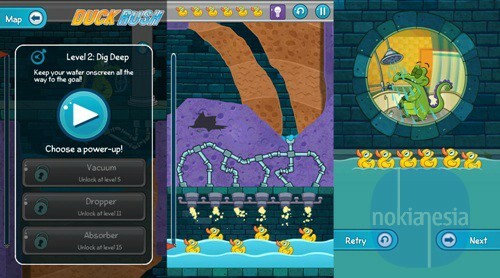 Dig as fast as you can and get as many duckies as possible in ‘Duck Rush’ levels! ‘Tri-ducking’ is now faster, better and more fun with boosts, such as Vacuum, Dropper, and Absorber! Small fees may be required for these additional boosts. Experience fun mechanics that are uniquely designed for each character! Complete achievements and earn special themed duckies such as gladiator-duckie, astronaut-duckie, hula-duckie, and many more! Stuck on a level? Use hints to help you solve the puzzles!